My name is Dr Cosmin Teasdale and I am the principal dentist at Bucharest British Dental Place, a dental tourism clinic based in Bucharest Romania. I qualified from the University of Iasi in 2003, and hold a certificate in Endodontics from the University of Chester. I have over 12 years experience as a dental surgeon, am GDC Registered and Indemnity Insured in the UK where I also still occasionally treat endodontic cases for some private practices. 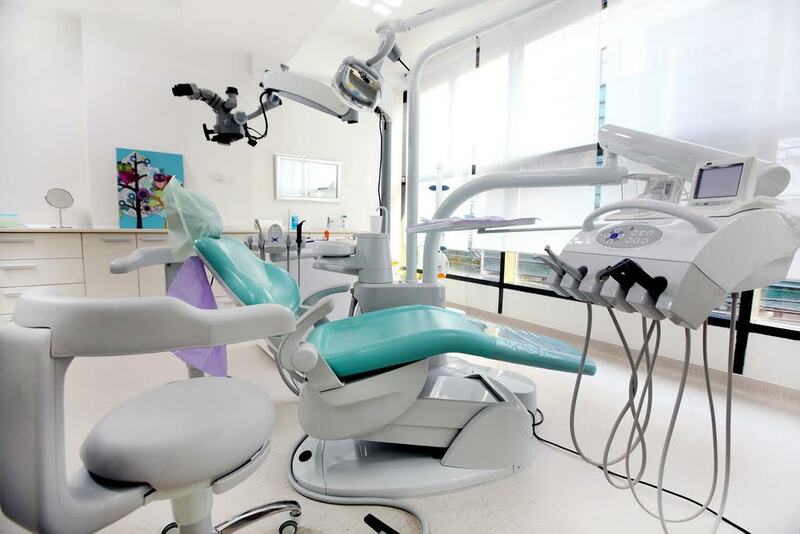 Bucharest British Dental Place opened 1 year ago and since then we have treated many patients from all over the world. We owe our success to our unique approach to dentistry and are driven by our ethics and a passion to create a work of art with every smile. We believe that behind every tooth is a patient and that patient care should be at the forefront of dental health. We do not model ourselves on the mass money making production line that modern day dentistry has become and prefer our boutique clinic to see perhaps 4 or 5 patients per day in order to really take the time to listen to our patients, find out what they wish to achieve and work with them to give them the best smile possible, in terms of aesthetics and quality of workmanship. It is because of our unique approach that so many of our patients recommend us to their friends and when you hear how our work has literally changed patients lives it makes what we do so worthwhile! Get a free consultation with Bucharest British Dental Palace. 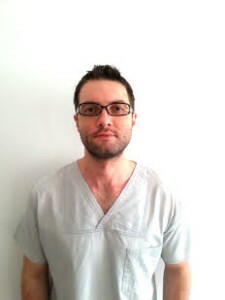 With over 10 years of experience, Cosmin is GDC registered (120124), he holds a Certificate in Endodontics from the University of Chester, he is a member of the British Society of Endodontics and a member of the Academy of Microscopic Enhanced Dentistry. 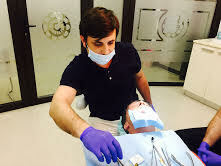 He is also a Clinical Lecturer and his major field of interest in Microscopic Dentistry concerning root canal treatments, aesthetic and restorative Dentistry. Dan graduated in University in 2002. His main areas of expertise are Implantology, Oral Surgery and Aesthetics/Restorative Dentistry. As well as travelling the country to provide clinical training to fellow dentists, he has also been involved in teaching students at the University on various aspects of Implantology/Oral Surgery. 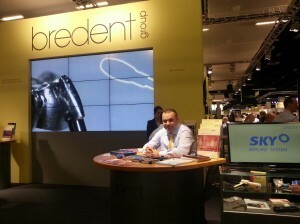 Cristofor graduated both the University of Dentistry in 2003 and the University of Medicine in 2010. He is particularly skilled in surgical procedures and implant dentistry, from single tooth implant replacement to more advanced replacement of all teeth and advanced surgical procedures such as sinus lifts and bone grafts. Daniela graduated University of Medicine Carol Davila, Bucharest in 1993. 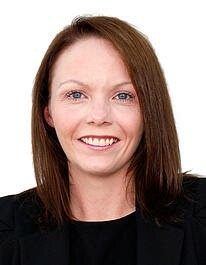 She is a Consultant in Dermatology and Venerology and Aesthetic Medicine. She compliments our team by offering 10 years younger makeovers. Our Implantologist, Dr Daniel Acatrinei, has placed over 2000 implants with almost 100% success rate. Most of our patients come from overseas countries such as the UK, France, Spain, Italy and America. We also have many patients from Romanian and Expat communities of Bucharest, with some Romanians travelling back from overseas to undertake treatment at our clinic. Initially our patients came mostly from advertising through platforms such as What Clinic or Facebook but now most come through recommendation from previous patients which is testament to our quality of work. Our team of specialist doctors are able to perform all types of general dentistry together with complex restorative dentistry. We place all on 4 or all on 6 implants, bridges, crowns, veneers, bone grafting/augmentation, gum recontouring, root canal therapy, tooth extraction, dentures, periodontal surgery, fillings etc. Our clinic predominantly places Axiom Implants which are compatible with North American equipment and supplies. We choose these type of implants as research shows that they are the most predictable in terms of longevity and predictability. One of our mottos is “We don’t do cheap implants, we do high quality implants cheaply”. Please give me a summary of the steps of getting an implant. Once a patient contacts our clinic with an enquiry we will email them with all the details of our clinic and the staff credentials and then follow up with a phone call to ascertain exactly what expectations the patient has in terms of the treatment required and the desired outcome. For those patients who wish, we even offer a free phone consultation direct with a dentist. We then ask the patient to provide a current x-ray and smile photograph in order for us to provide a personalised treatment plan and cost estimate. After this all that is left for the patient to do is plan their trip, at which point we help with flights, accommodation and any tours or activities they may wish to do whilst in Bucharest. On arrival in Bucharest, the patient is collected at the airport by a British member of staff and transferred to their hotel. They are provided with local mobile phone and city guide to make their stay more comfortable and then at the time of their first appointment they are brought by driver to the clinic. Once in the clinic the patient will undergo a clinical examination, a mandatory CT scan, blood tests and study model analysis. We can offer sedation for fearsome patients and only then, when both patient and doctor are happy, do we proceed with the surgery. When a patient is coming for teeth in a day implants we need the patient to stay in Bucharest for about one week. On arrival we undertake an initial consultation which includes blood tests and CT scans. After this, and when both patient and doctor are happy, the implant surgery is scheduled. Sedation is recommended for this type of implant surgery and it is performed by our highly trained A&E Medical Doctor. After local anaesthesia is achieved, some small holes are drilled into the bone and the surgical fixtures are placed. The procedure is specifically designed to avoid all the major anatomical structures, so the surgical procedure carries very small risks. Doctor Acatrinei is one of the most experienced Implantologist in the country, so all our patients are in safe hands. For the upper jaw 6 implants are placed and for the lower jaw 4 implants. The surgery for the upper jaw takes a couple of hours and then 48 hours later we would make the surgery on the lower jaw which takes a further 2 hours. The temporary bridges are ready within few hours after the surgery. In our experience most patients are apprehensive when it comes to implant surgery because they do not know what to expect and whether they will experience pain, with most patients commenting afterwards that it was better than they had expected! The sleepless sedation means that you are awake during the procedure and can respond to questions but that you do not feel any pain and some patients do not recall the operation afterwards. After the surgery the patient may feel mild to moderate discomfort, similar to that of a toothache and some swelling. The pain and swelling can be treated with antibiotics and over the counter pain medication and swelling usually peaks and subsides after two days. The system consists of 4 mandibular (lower) and 4-6 maxillary (upper) implants that are loaded immediately with temporary bridges for 6 months. The costs quoted above include Axiom Premium French implants, computerised surgical drill guide, temporary bridge, sedation and CBCT scan. After 6 months the implants will be loaded with a permanent bridge per arch. Please note: In certain situations where there are no teeth or no extractions required, it is possible to complete the treatment in one visit by loading the implants directly with the permanent bridge. We accept cash or credit card. We also accept medical insurance and we can offer financing through our partners. It is standard procedure for implants to be completed over two visits. The first visit is when the implants and temporary bridge/crown is placed and the second visit, some 3-6 months after (to allow for healing and integration of the implant) is when the permanent crown or bridge is placed. Each visit would require a minimum of 4 full days in order to place the implant and receive back the lab work, plus make a final check-up on the patient 48 hours after surgery. As mentioned above the healing time is 3-6 months and this varies depending on the amount of implants placed and the patients own health. Implants can be made over one surgery although we advise for full mouth implants ie both upper and lower jaw, that this is done over two surgeries with 24 hours break in between to allow for less stress for the patient/less time in sedation. Implants come with a 5 year guarantee and any faulty implants will be replaced free of charge during this period. This would require a visit back to our clinic in Bucharest. Any maintenance on implants can be done in their home country as part of their regular dental health check ups. What other costs would there be? Additional costs would be flights, accommodation and spending money for free time activities such as food and drink, tours and activities. Bucharest is a relatively inexpensive city to visit and hotels are from as little as £40 per night, apartments from £25 per night, a 3 course meal with wine is around £15. We can advise on various types of accommodation in the vicinity of the clinic, which is based in the affluent business district of Bucharest known as Dorobanti. There are a mixture of boutique, 3, 4 & 5* hotels and self catered luxury apartment style accommodation, all for very affordable prices. Romania and Bucharest are very safe to visit and actually have one of the lowest crime rates in Europe. There is a big expat community in Bucharest of British, Americian and French which makes the city very cosmopolitan and almost everyone you meet speaks English. You don’t need to speak Romanian but you would get credit from the locals for trying. Bucharest is a very vibrant and cosmopolitan city with many bars and restaurants scattered among tree lined boulevards with an array of old and new architecture to explore. Bucharest is known as the little Paris and as one patient once commented, that unlike Paris it is not crowded and unlike the Parisians the Romanians speak English and are open and willing to talk with foreign travellers. We work with a partner tour company in Bucharest who can arrange all kinds of city excursions such as city tours, helicopter rides, golf, theatre tickets, horse riding and a thermal spa day etc. There are also many historical buildings to explore inside and outside the city and day tours or longer trips can be organised for our patients to see what more Romania has to offer. The Spring and Autumn months are the best to travel, Summer is also a lovely time to visit but can get very hot during the day and for those who love snow and winter sports Winter is also a good time. Basically Romania still enjoys 4 true seasons a year and each has something special to offer. There are many fabulous restaurants to visit in Bucharest offering all types of cuisine, from traditional to Japanese, Italian, French, British, the list goes on! There are also numerous coffee bars and pattiseries to explore with the added bonus that you can enjoy a superb meal at a fraction of the price in the UK or America. Have a question or inquiry? Click the green button to get in touch with Bucharest British Dental Place.